One of the most significant benefits of using Bing Ads is the ability to have full control on their syndicated search traffic for your website. That means that you are able to exclude partners that are not right for your business and deliver that great ROI that you are looking for. Google only gives the option to opt-in, so you are stuck with participating or not participating with whatever partners they have. Also, Google will not share who their partners are, so you are really in a cloud when it comes to this. With this syndicated feature, Bing is continuously updating their list of partners based on new search deals, so sometimes a bad apple for your account might slip in even though you excluded a list of partners a month ago and think you are in a right place. This blog post is to be used as a reminder to continually watch this traffic to continue to have great success with. I’m going to go over why the app is great for on the go marketers, what reports you need to look at, and how to find the selected partner/s to exclude for your account. Let’s begin. I use the Bing Ads mobile app for Android pretty often since my phone is always next to me. I don’t use it for in-depth analysis, but I use it to make sure nothing out of the ordinary is happening with my account. I was on a trip for two days, but I checked the app and noticed that my spend jumped up to a much higher amount then I was used to. Using the app, I was able to see that something happened during this time period, so I knew I needed to investigate this when I got back to my laptop to see what the issue was. As you can see, I only used this app for a few moments, but it directionally already gave me the insight I needed to do real work later on. The actual work that I needed to work on was pulling specific reports to see what was happening with my account. If you are interested in downloading the apps for your phone, I left the links to both stores. This section has a range of things to look at for reporting, but the two reports that we are looking at our campaign and website URL report. In terms of the settings, I like to look at summary if I am looking for a quick analysis, or I will use day if I need to figure out what day something changed for my account. 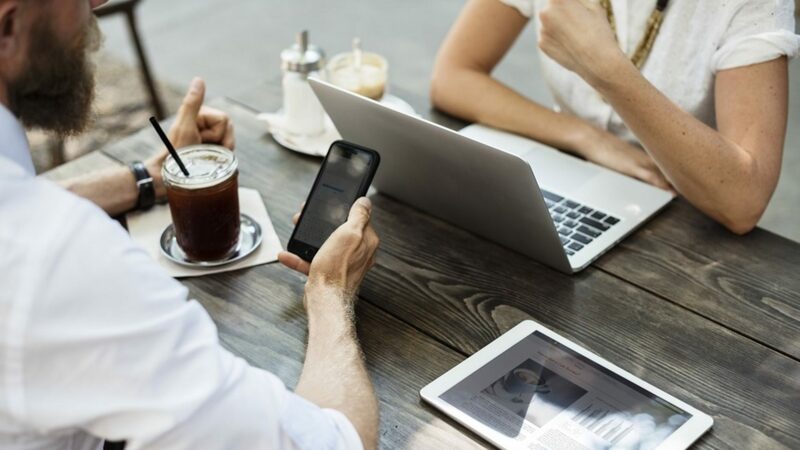 The second thing is that you need to manually select the network tab to view if the traffic is coming from Bing, AOL, or a Syndicated Partner. Other things that you can do is change some of the columns to look at metrics like revenue and conversions. If this is a report that you want to see often, you can have it on as a daily, weekly, or monthly schedule. Within the account, I am going to look at the report’s section. I know my spend is very high, so I want to see the networks to see if it is Bing or Syndicated Search Traffic. 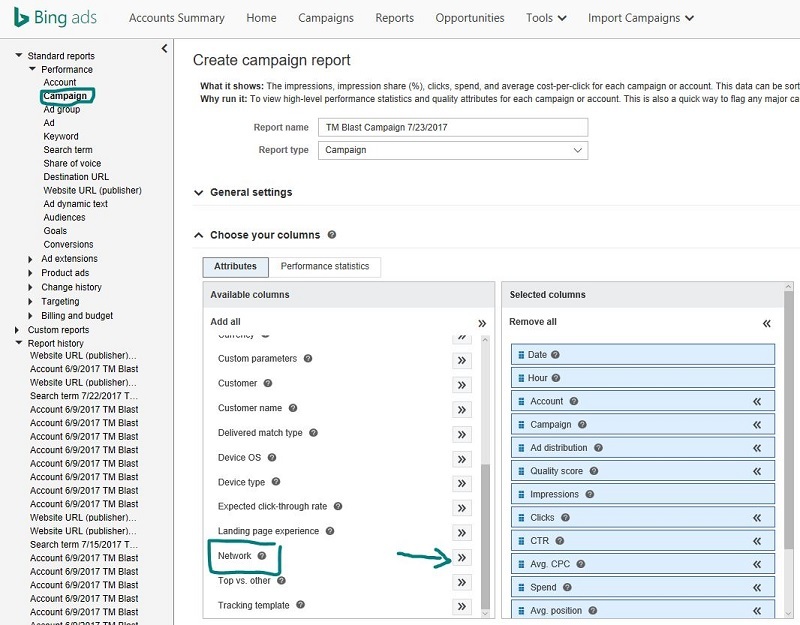 The report that you want to pull is the campaign report and you want to have Network selected as an option so you can see where the problem lies. Once the report is created, you will get an excel document with all the information you have. Put this into a pivot table and look to see what network is causing the high spend. This is where I was able to see it was the syndicated search traffic, so I know I need to look at this even further. Now we have to go back into the report section within Bing to pull a particular report called Website URL report. This story is a unique feature that can only be found on Bing. This report is going to show all the syndicated partners that brought in impressions and clicks to my campaigns. Same as the report above, you need to select the network tab when you are viewing this statement since you want to see what URL’s are syndicated partners. Once the report is pulled in excel, you will again need to put everything on a pivot table. From there, we want to put Network at the top and the list of the syndicated partners below this. From there, you want to put in the KPI’s that you want to look at, but I’m going to look at clicks, impressions, and spend. Once this is all put into play, I am going to reverse the trends to look at the highest spend to see where the culprit is. From here, you are going to have to exclude this partner from being served in your campaign. 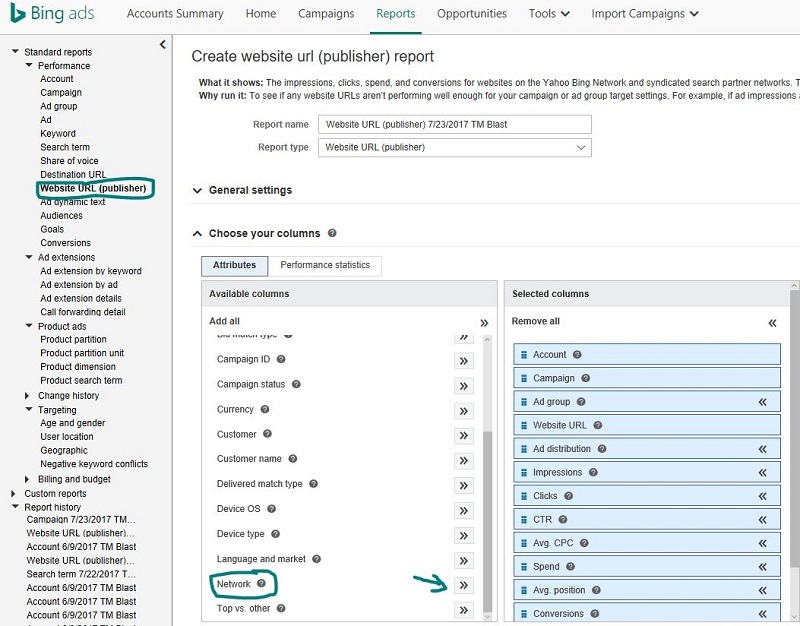 I wrote an entire in-depth article about how to be successful with Bing Ads Syndicated Search Partners, so that will cover how to add this to the exclusion list using Bing Ads Editor. That guide will also give more information into the syndicated search partners, so definitely check that out. I also got a case study for this working at Clarks. One thing I’m going to mention with this network is that some partners only work well with specific verticals and offers. Don’t just copy and paste a list of excluded partners from one account and transfer them into another account. Chances are you only limited potential conversions that would have worked better for your site compared to the one that it did not work for. Another thing I am going to call out is the app for Android and IOS. I had the privilege of being a BETA tester for the IOS app while I was at Microsoft and was impressed with how much the app has grown since 2015. I worked with Jamie Chung on some of the Q and A while I was there, so a lot of the feedback on the app was done with user testing. If you are interested in learning more about the app, I have a guide on how to use the bing ads app to make you more productive with your time.